The Bamboo Tea Tray is an essential part of this premium tea service. Carved from sustainably sourced bamboo, it has a recess to hold the teapot snugly and just the right amount of space for a cup/saucer and milk jug. Lacquered to avoid staining and the Bamboo tea Tray is stackable too. 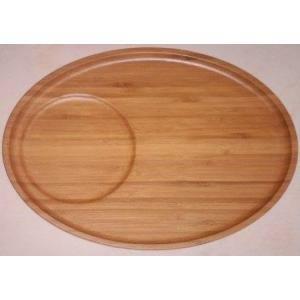 The Bamboo Tea Tray is 300mm (L) X 220mm (W).